Dee Anna Hays is Board Certified in labor and employment law by the Florida Bar. She has been representing employers in all aspects of labor and employment law compliance and litigation for over 11 years. As a result, Dee Anna understands the legal issues as well as the practical issues confronting management. She enjoys counseling clients to solve tough issues and ardently defends them when necessary. A growing portion of Dee Anna’s practice focuses on occupational safety and health issues. She litigates OSHA cases and represents employers during government inspections and investigations. Dee Anna also frequently guides employers in handling workplace fatalities and other severe accidents. Dee Anna represents employers in a wide range of industries, including healthcare, retail, construction, technology, electrical utilities, and not-for-profit. She advocates in federal and state courts and before numerous government agencies — including the DOL, EEOC, OSHA, NLRB, OFCCP, HHS, and FCHR. On a regular basis, Dee Anna also handles handbook and compliance reviews on a national scale for large employers to proactively minimize liability (including privileged wage and hour and safety audits). 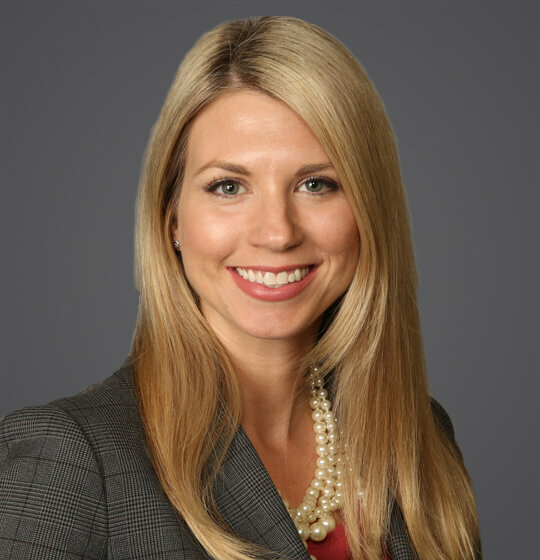 Dee Anna serves as the Director of Legislative Affairs for HR Tampa (SHRM) and is a past co-chair of the Labor & Employment Law Section of the Hillsborough County Bar Association. She is a nationally recognized speaker and author on labor and employment law issues. Dee Anna has a 3-year-old son and a 1-year-old daughter. When she isn’t chasing her toddlers around Tampa Bay, she enjoys running in trail races. Her favorite distance is the half-marathon. Dee Anna is passionate about providing legal advice and counseling to management in difficult workplace situations, and is honored to be a trusted advisor to many long-term clients. She has significant experience working with the healthcare, retail, construction, technology, and non-profit industries. Reductions in force and difficult terminations. Fall 2018 - HR Florida Review - "Revealing 5 Ways to Update Your Employee Handbook by Year's End"
2018 - ABA's Occupational Safety and Health Law - 4th Edition (Chapter Editor) - "Relationship of the OSH Act to Other Federal Laws and Agencies"
Winter 2017 - The Construction Lawyer - "An Overview of OSHA Investigations and Citations"
2016 - American Bar Association - "The Construction Lawyer’s Guide to Labor & Employment Law, Second Edition (Chapter 3)"
May 14, 2015 - SHRM.org - "11th Cir. : County Jail Worker with Cancer May Not Pursue ADA Claim"
October 2014 - Florida Public Human Resources Association, E-News, Issue 4 - "A Solid Investment: Strengthen Your Employee Handbook"
September 2014 - The Checkoff - "Federal Case Notes - Eleventh Circuit"
June 2014 - Suncoast HR Newsletter - "Florida Supreme Court Settles Debate in Favor of Viable Florida Pregnancy Discrimination Claim"
May 2014 - The Checkoff - "'Modernizing' White Collar Exemptions Under the FLSA"
May 2014 - The Checkoff - "Federal Case Notes - Eleventh Circuit"
March/April 2014 - Lawyer Magazine HCBA - "Spring Cleaning - A Fresh Look on How to Strengthen Your Company's Employee Handbook"
February 2014 - Suncoast HR Newsletter - "New Year's Resolution - Strengthen Your Company's Employee Handbook"
December 2013 - The Checkoff - "Federal Case Notes - Eleventh Circuit"
On February 27, 2019, the U.S. House Subcommittee on Workforce Protections held a hearing on House Resolution 1309, the Workplace Violence Prevention for Health Care and Social Service Workers Act, introduced by Representative Joe Courtney (D-CT). How long has it been since your organization updated its employee handbook? It’s time to brush off any layers of dust that have accumulated over the years and make it a priority to conduct a review prior to the year’s end. On November 16, 2018, Representative Joe Courtney (D-CT) introduced House Resolution 7141, the Workplace Violence Prevention for Health Care and Social Service Workers Act. What Is OSHA? When Might OSHA Pay a Visit? And What Is at Stake for Employers? The Occupational Safety and Health Act (OSH Act) authorizes the Occupational Safety and Health Administration (OSHA) of the U.S. Department of Labor to conduct inspections at worksites within its jurisdiction to enforce the safety and health laws promulgated pursuant to the OSH Act. On November 8, 2016, voters in several states passed medical or recreational marijuana measures each of which will likely impact employers. As this area of law is developing quickly, and since the Trump administration’s position on marijuana is unclear, employers may want to consider the impact of these new laws as well as watch for new developments.